Once you’ve determined that you’re ready to buy, it’s time to begin thinking about where you want to look. You’ll find there are many questions you must answer about the type of house you want to purchase. For example, are you interested in an older home or a new one? How big of a home do you need? Would you like to move closer to certain major roads or freeways? Your REALTOR® can answer many questions about the homes and communities you’re considering, and in the meantime, there are myriad resources available for you to begin your research. Do you want to live in a particular city or neighborhood? If you’re a parent, you’re probably considering school districts and other child-friendly options like the proximity to parks. If you’re relocating to an unfamiliar area, you can contact the city or county government for information about the community. It’s a good idea to investiage crime statistics per neighborhood when you’re narrowing down the areas of your home search. Or perhaps location is the reason why you’re buying in the first place — to move closer to your work, your spouse’s work or your extended family, or to live within a particular school district’s zone. As you’re probably aware, the location of your home can have a dramatic effect on its price. You may have experienced growing pains in your current home, which prompted you to pursue buying a new abode. Or you’re entering a self-employed profession and need a home office. Consider all your space requirements before you start searching for a new home. There’s no reason to waste time looking at two-bedroom condos when you really need a four-bedroom house. Great Los Angeles HUD Home! SINGLE FAMILY HUD HOME IN MOUNT WASHINGTON AREA OF LOS ANGELES*** GREAT VIEW HOME IN A SECLUDED AREA OF LA. THIS INCREDIBLE TRI-LEVEL FEATURES 3 SPACIOUS BEDROOMS INCLUDING A LARGE MASTER SUITE, A LARGE LIVING ROOM, DINING AREA AND A KITCHEN WITH DARK WOOD CABINETRY AND GRANITE COUNTERS. FOREVER VIEWS FROM TWO BALCONIES, A NICE PATIO AND A FRUIT ORCHARD. EASY ACCESS TO DOWNTOWN AND THE VALLEY VIA THE 5, 110 AND 134 FREEWAYS. THIS HOME HAS TREMENDOUS POTENTIAL FOR THE CREATIVE HOMEOWNER. DON’T MISS THE BEST BUY IN LOS ANGELES TODAY! Owner Occupied Bidding Ends Feb. 1, 2013 – Investors can bid after that date! What a fabulous place I found this week! I was being my usual “Realty Goddess” self by taking a great Real Estate class. The place it was held was the “Brio Tuscan Grill” in Cherry Creek. Now usually when we have realtor seminars and classes we go to a boring and cold lecture room, but this was a pleasant surprise! When our server brought a fabulous “Bacon & Egg Sandwich” to our table I was a bit shocked! We were getting spoiled! 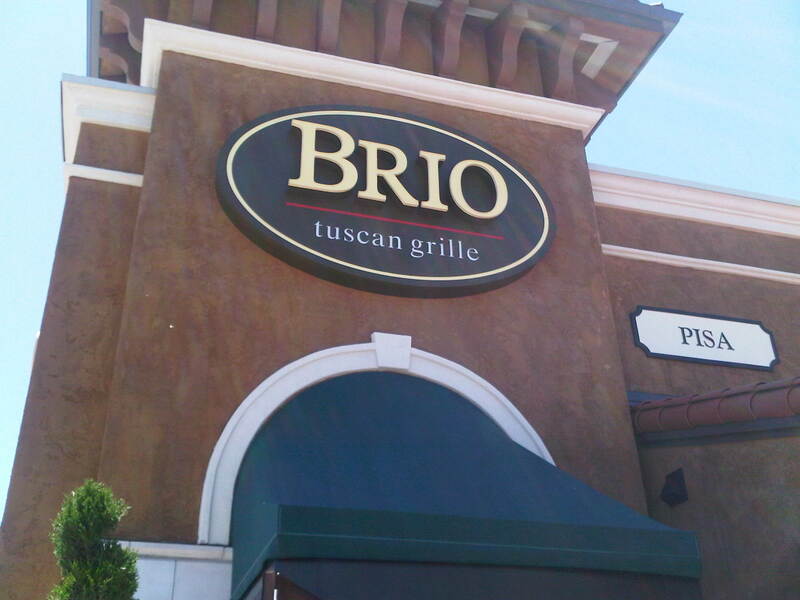 Let me tell you something…..that sandwich was FABULOUS and it left me wanting to visit “Brio” for more! If you are in the area, please stop by and give them a try! Thinking of moving to the area? Start here! The Realty Goddess is BLOGGING! What the heck? After a few months of reading other blogs and wondering how I could get in on the action, I am taking the plung! How fun to share information with others in the virtual world. I do have a little piece of the world and I am taking hold. So hold on world, it’s time to spread some goddess dust and watch the magic!